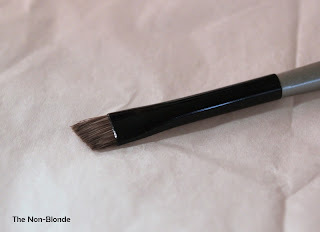 My favorite eyebrow brush in the last 6 months or so is RMK eyebrow brush with its delicate rounded edge of uncut hair. It gives me maximum control and very natural looking results. I do wish the handle was a little longer, but that's a minor complaint. 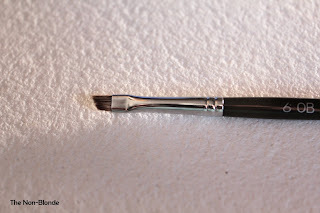 I still think it's not a must have if you already have a couple of other good eyebrow brushes, but I can't deny it's the one I grab consistently. However, there are several other good brushes for filling eyebrows. I've had some of these for years and have an idea why a couple of them are better than others. Do take note that my tortured and abused Sephora brush is a much older version of today's No. 15. It's from before they stamped the numbers on the handles and I'm guessing it's the #15 equivalent. It survived after all these years, but just like MAC 208, I find the hair to be too long for the purpose at hand and the edge is too blunt. 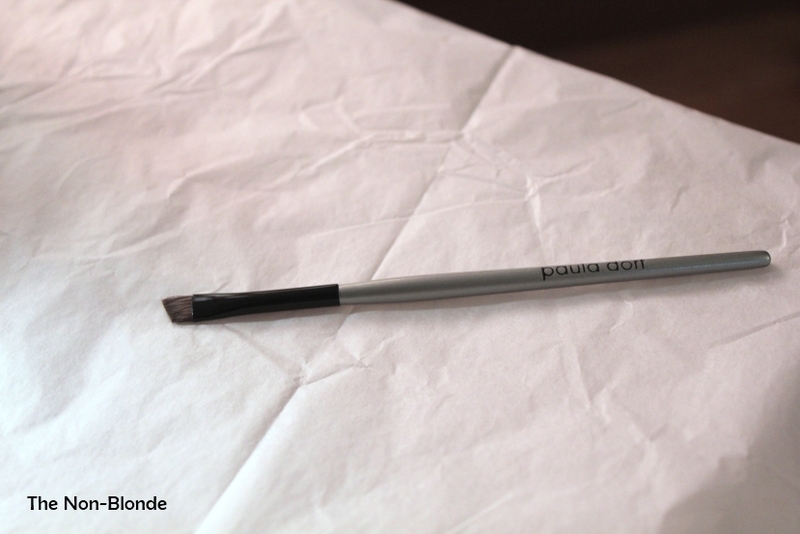 Paula Dorf eyebrow brush is another oldie, but a much better one. 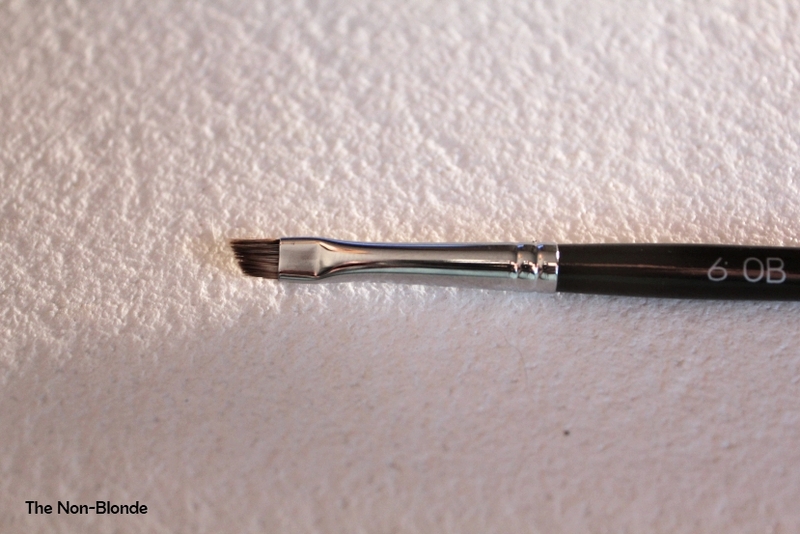 It's very balanced and the head's width and shape allows for even brush strokes that are less visible and more natural looking. 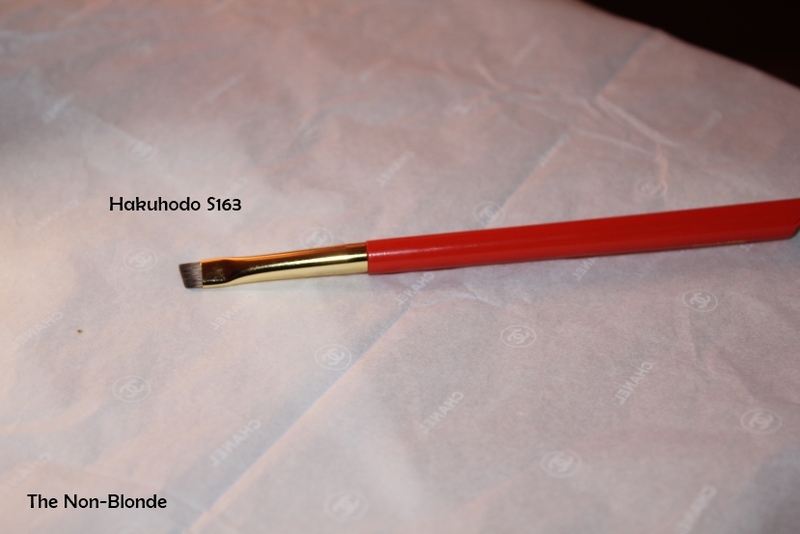 Shu Uemura 6 ob brush is very narrow. It's the one to use for tiny gaps and minute eyebrow corrections. 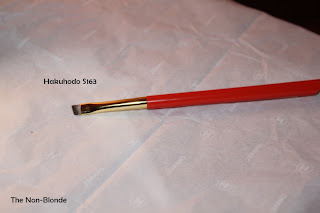 The Shu Uemura brush feels very balanced in my hand (extremely important when dealing with eyebrows as everything you do can change your facial expression). It's probably a result of head/handle ratio. 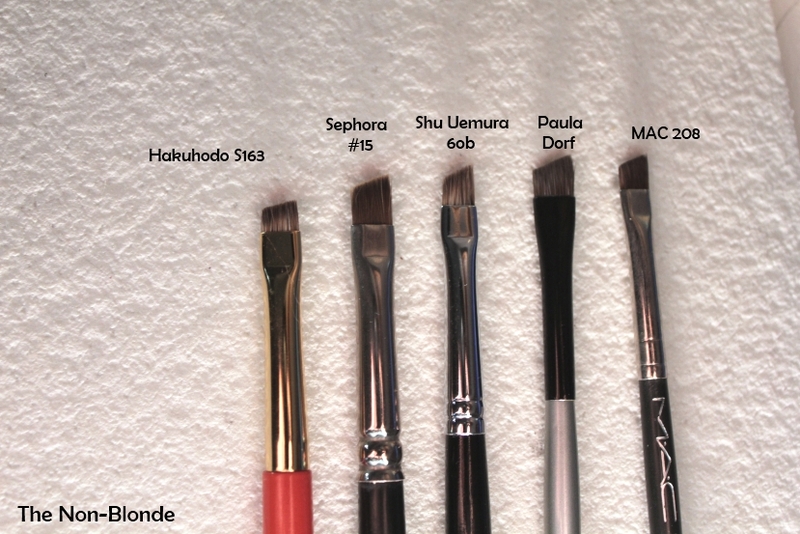 My favorite in this bunch is Hakuhodo S163 (S100 series). The short hair ensures precision and since the head is densely packed with water badger hair that seem perfect for the task. Hakuhodo also offers other interesting looking eyebrow brushes, especially in the G series, but honestly, I don't see a reason to add another tool any time soon. Between the ones here and my RMK brush I feel like I'm all set in this department for the foreseeable future. 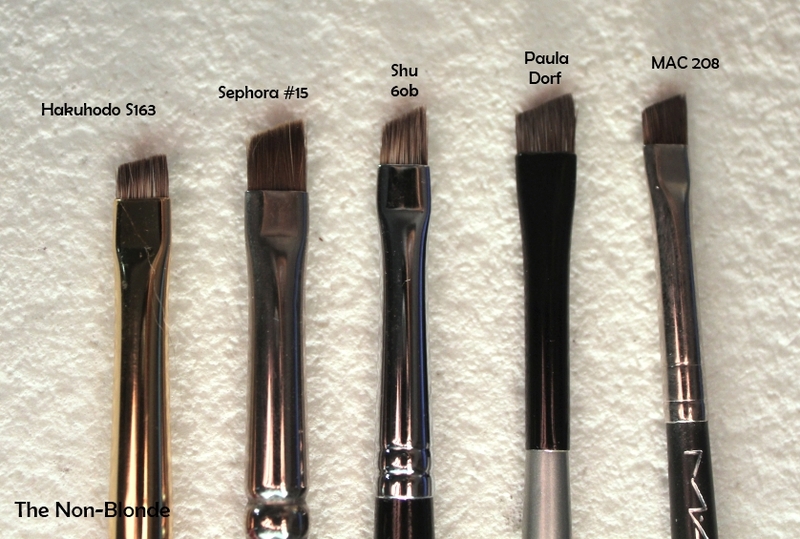 IMO, shorter is better when it comes to brow brushes. You want a firm touch on the skin (you wouldn't use a soft brow pencil, would you?). Dain, you're right, of course. But I have freakishly large hands (my glove size is Large/8-8.5), so longer handles fit better in my hand and give me a steadier grip. 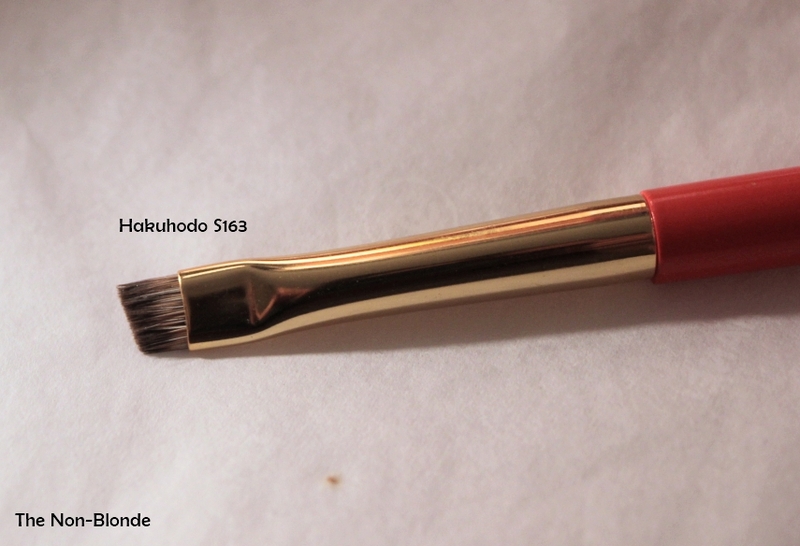 This is a serendiptous post - I've been weighing up the Shu 6O and the Hakuhodo for a while now. Which do you think creates the thinnest line? (You mentioned the Shu was narrow but I wasn't sure if you meant width or...um...depth). Oh, I meant the bristles, not the handle. Sorry, I should have been more clear. 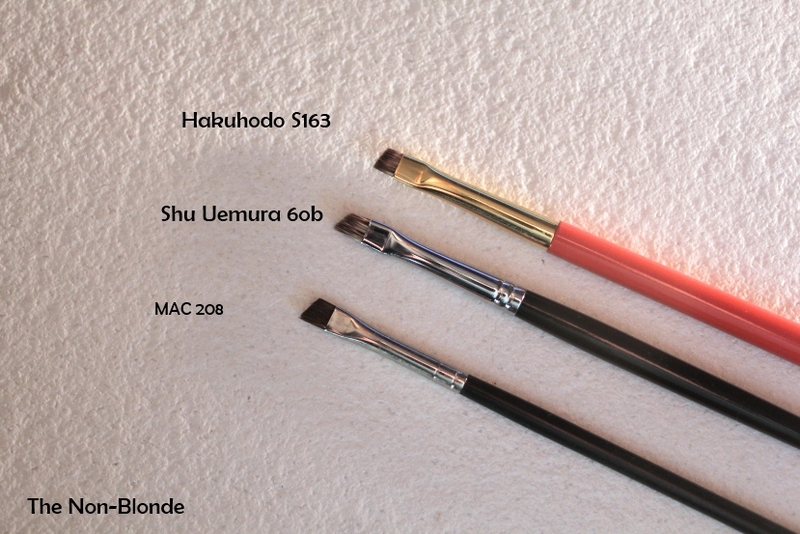 @glossedintranslation I haven't tried near as many brushes as Gaia, but the Shu 60B is the most precise, controlled application. It's not so much narrow as small, though. Hi there Gaia, I'm been reading your posts on brushes because I want to get some for myself. I ordered some hakuhodo ones and they just arrived last night! I can't wait to play with them. 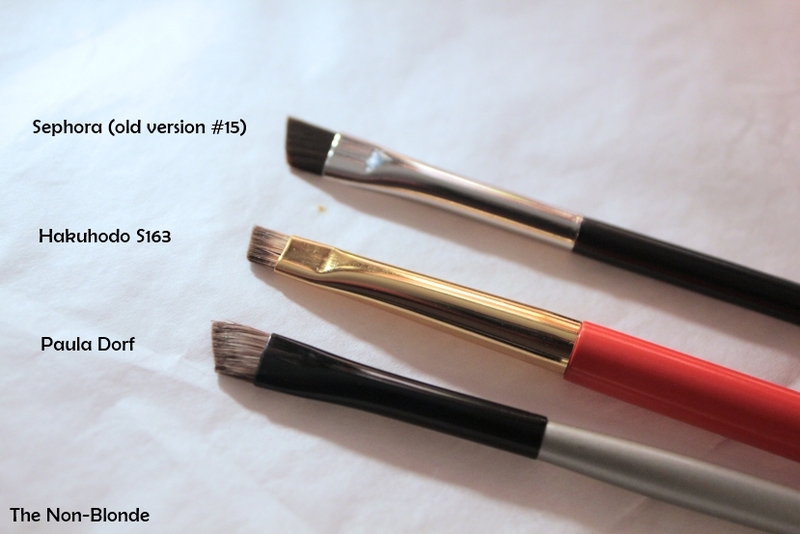 Your posts on brushes are very detailed and useful, thanks so much. 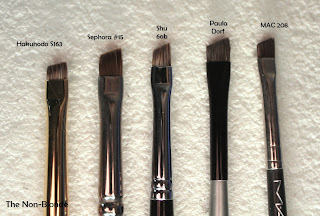 You are a great resource for brushes. 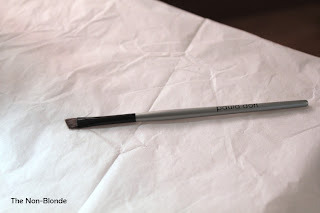 A good option is the Make Up for Ever brow brush, with a very long handle and very short, firm bristles, plus a great angle. I finally killed off my old MAC brush with the too-long bristles a few weeks back and wound up buying this at Sephora. (Although it's apparently not in stock at every Sephora.) MUFE isn't a brand I normally consider but it was distinct among the other choices. And it's turned out to be a delightful surprise. 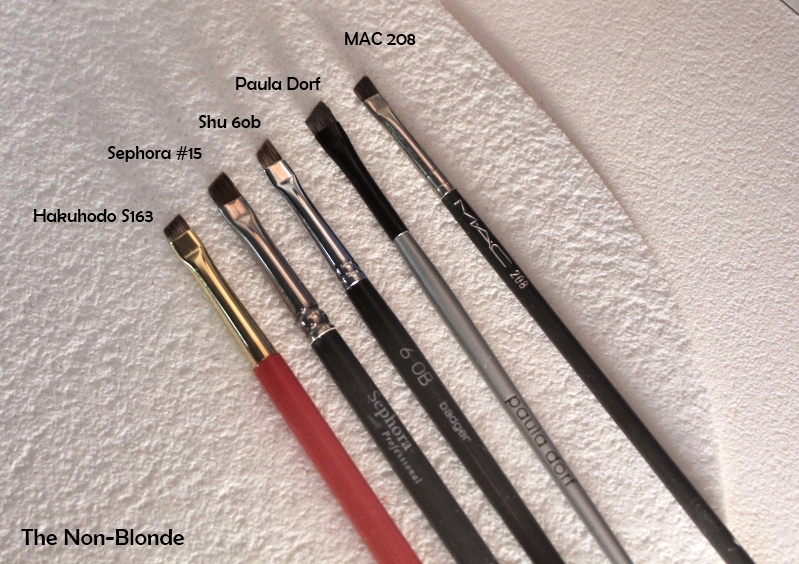 I totally agree with you with regards to the MAC 208 brush, it's my least favourite. 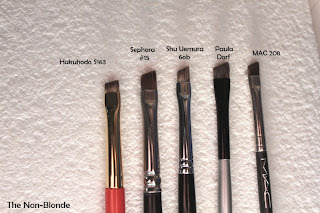 My new favourite on the other hand is the Suqqu eyebrow brush M followed closely by the Hakuhodo S163 and Shu Uemura 6OB. gosh I love your posts! They all so useful. I only have two angled brushes but I don't like them LOL.